A spa hotel, also known as a hotel spa or an urban hotel spa, is usually found in big cities and major tourist and business destinations, such as a New York City, Las Vegas, Washington D.C., and Los Angeles. You may also find spa hotels in places known for healing such as Sedona, Arizona or Santa Fe, New Mexico. Historically, many spas were developed where natural hot springs or healing mineral waters already existed. Hotels were built and people came to for the health benefits a good soak or "taking the waters" would provide. The facilities provided spa services, activities, health-related dining, all with a focus on the benefits of the natural setting. In current times, a spa hotel typically offers luxurious and beautiful spa facilities, drama like personal tea service, signature spa treatments you can't find anywhere else, and a higher level of amenities and customer service. In exchange, you pay a premium. 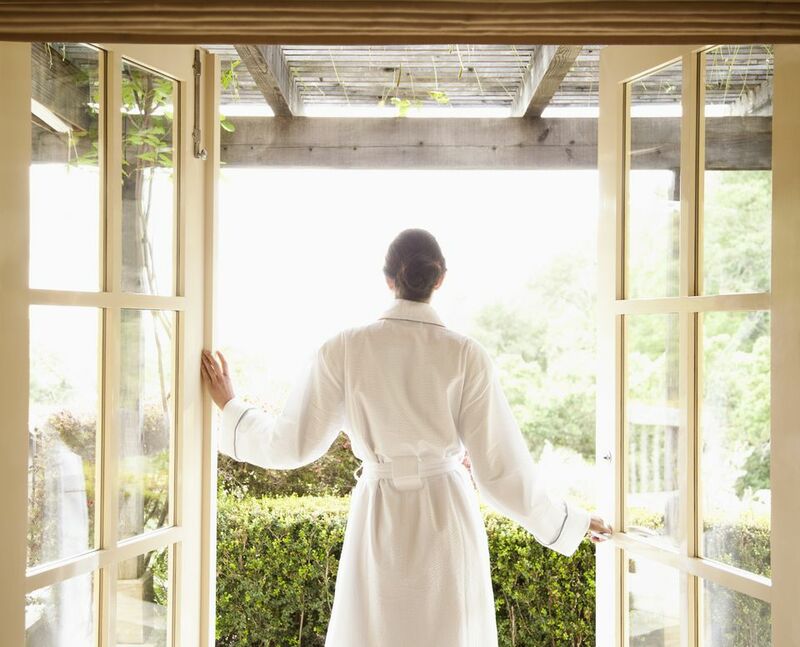 Prices at spa hotels tend to be much higher than the average day spa. And the more luxurious the hotel and the spa, the higher the price. Spa hotels usually have facilities like steam, sauna, fitness facilities, and a swimming pool. Regular, ongoing exercise classes are unusual, but some spa hotels have scheduled yoga sessions, health-related educational classes, and occasional small-group specialty exercise events. You might also be able to hire a personal trainer or yoga teacher for a private class. Spa hotels are often open to locals as well as hotel guests. However, locals may not have full access to all the facilities a hotel guest would, like the pool or fitness facilities, or you may have to pay extra for a day pass. Make sure to ask if that's important to you. Sometimes spa hotels have a special loyalty program for locals or offer discounts in the off-season. Spa hotels are different from spa resorts (also known as resort spas), which offer outdoor recreation like golf, tennis, and swimming pools and sometimes even kids clubs. Both spa hotel and spa resorts are different from destination spas, also known as health spas, where the complete focus is on a healthy, engaged vacation full of exercise and spa cuisine. Spa hotels tend to have luxurious rooms, fine dining restaurants with healthy cuisine options, and a luxurious spa that is all about rest and relaxation. It's a good choice when you're visiting a city, either as a tourist or a business traveler, and want top-notch spa treatments as part of the experience and the convenience of not having to leave your hotel. To make the most of your time at a spa hotel, arrive at the spa 45 minutes or so in advance. This gives you plenty of time to get changed, shower, enjoy the amenities and atmosphere, and relax, so you're already relaxed when you're treatment starts. Give yourself time to rest after the spa treatment, to receive the full benefit. And if you're on business, book your treatment near the end of the day so you can go to bed right after.